National Taiwan University (NTU) is a national co-educational university located in Taipei city. NTU is the top-ranked university in Taiwan. Currently the University consists of 11 colleges, 54 departments, 96 graduate institutes and 4 research centers. The Department of Clinical Laboratory Sciences and Medical Biotechnology was formed in 2005. Its formation is to cultivate high standard medical technologists. Recently Labchina Co., Limited (http://www.labchina.net/EN/index.aspx) , Esco’s distributor in Taiwan, visited Assistant Pro. Sung-Liang Yu’s Microarray Core Lab to deliver two units of CelCulture® CO2 Incubators. Pro. 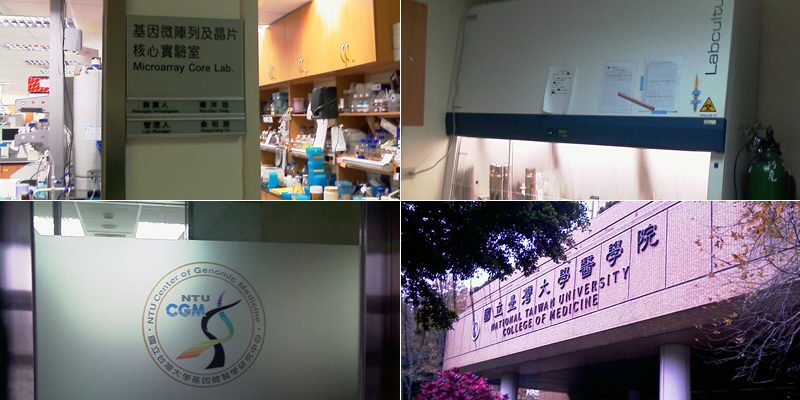 Yu’s laboratory also uses the Labculture® Class II Biological Safety Cabinet, model LA2-4A2.